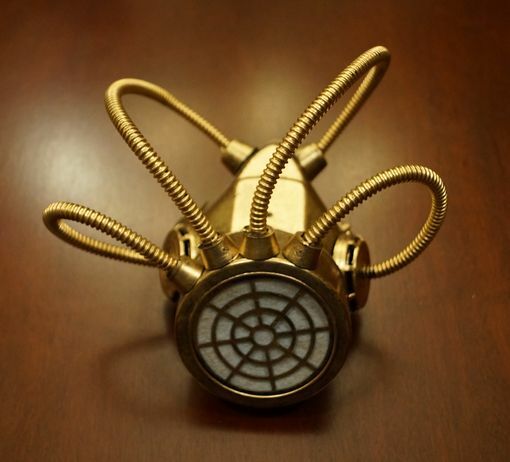 Cyber Gas mask is accented with wire tubing and hand painted gold . Comes with elastic bands. This is a costume accessory and not to be used a real functioning gas mask.